Have you every thought that you can write your story in poetic form? 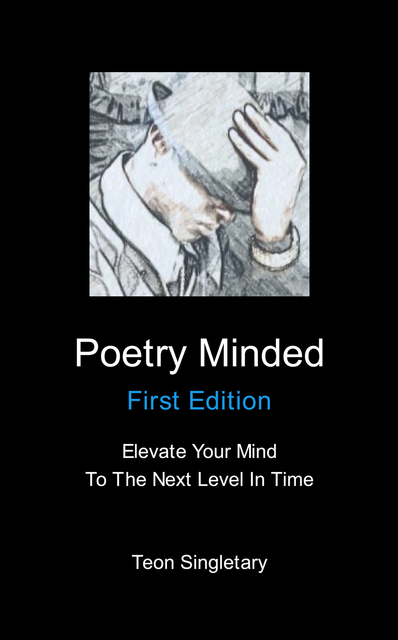 Well, "Poetry Minded" is design to take you on that type of poetic journey. A journey of the author's life, and at the end, you will write your own. These poems fall in the categories of Spiritual, Love, Heartbreak, Inspiring & Motivational. Come be inspired to the next level in time. Enjoy! SP Serves LLC was launched on May 20, 2015, but was founded in December 2013. Writing is a passion of the mind. Writing is an outlet we could use to deal with day to day living and to continue to move forward with life. Write to inspire and motivate others that anyone can grow and achieve their divine visions and dreams. The vision is to dramatically change the world in some shape or form by adding value to people one person at a time. Look below to view books that have been published for your viewing. Purchase your copy today.